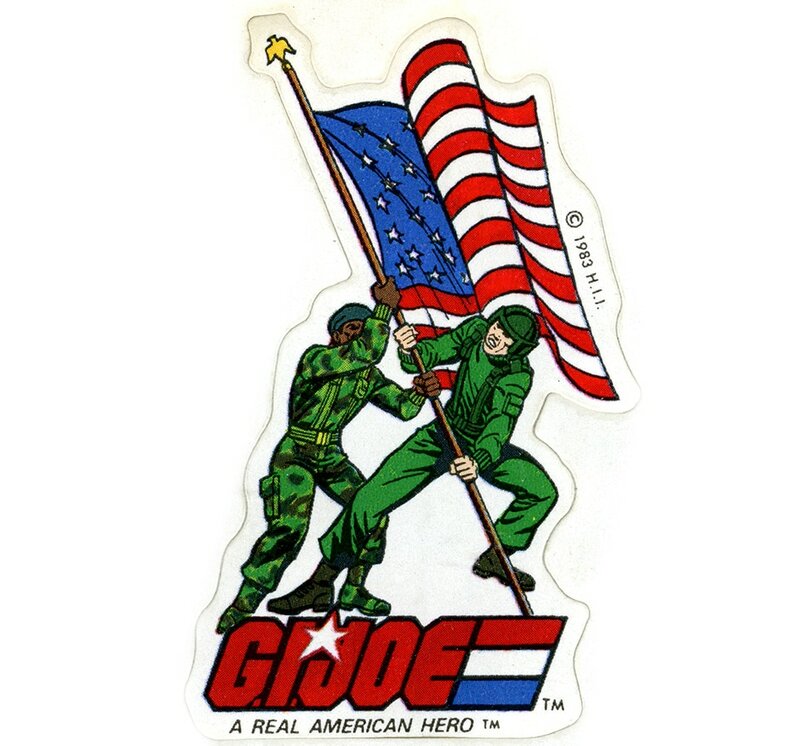 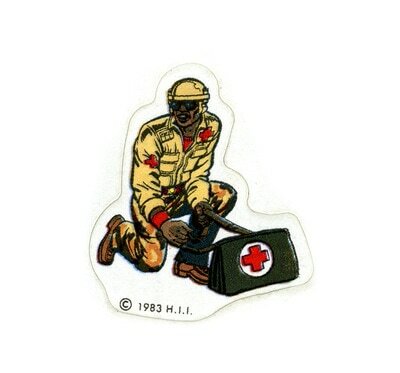 These stickers were produced in 1983 by Ambassador Stickers, part of Hallmark Cards, Inc. 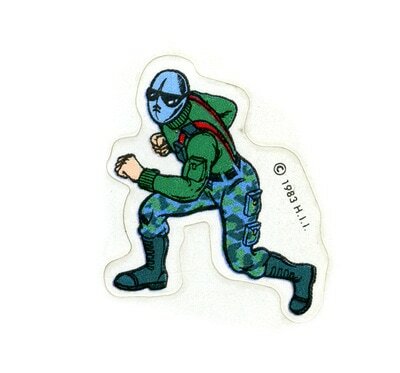 The color palette for each of these stickers varies from the production release figure, but none more than Snake Eyes. 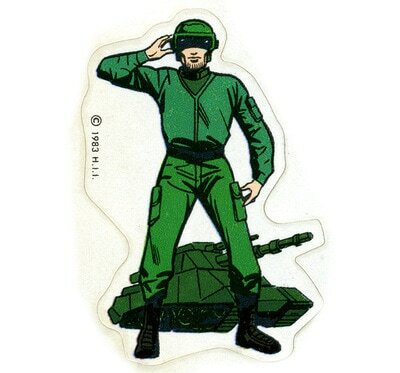 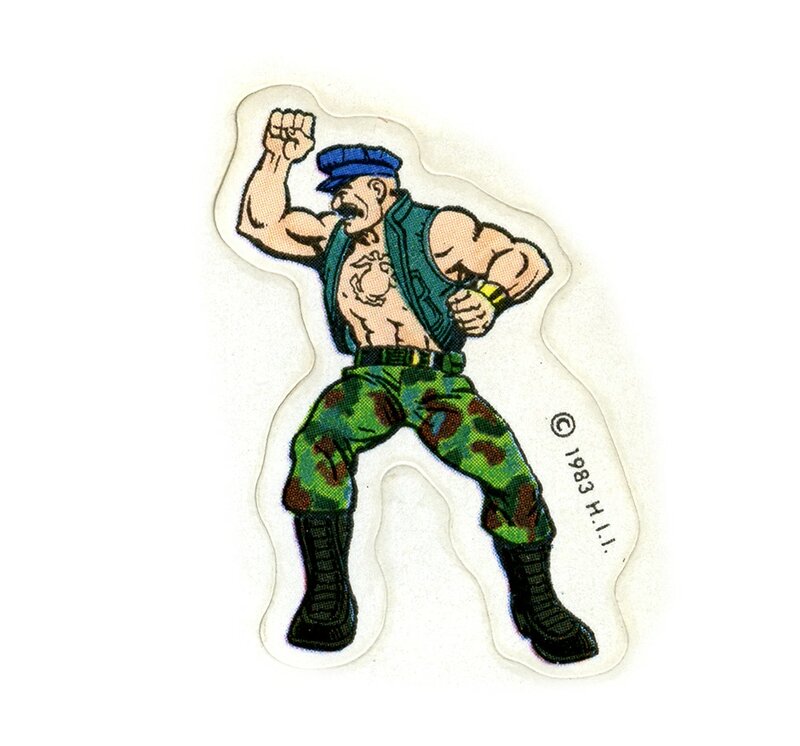 1983 sticker Snake Eyes features bare hands, red suspenders, green boots and shirt, and green and blue camo pants. 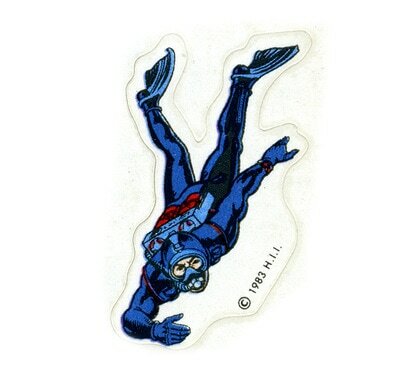 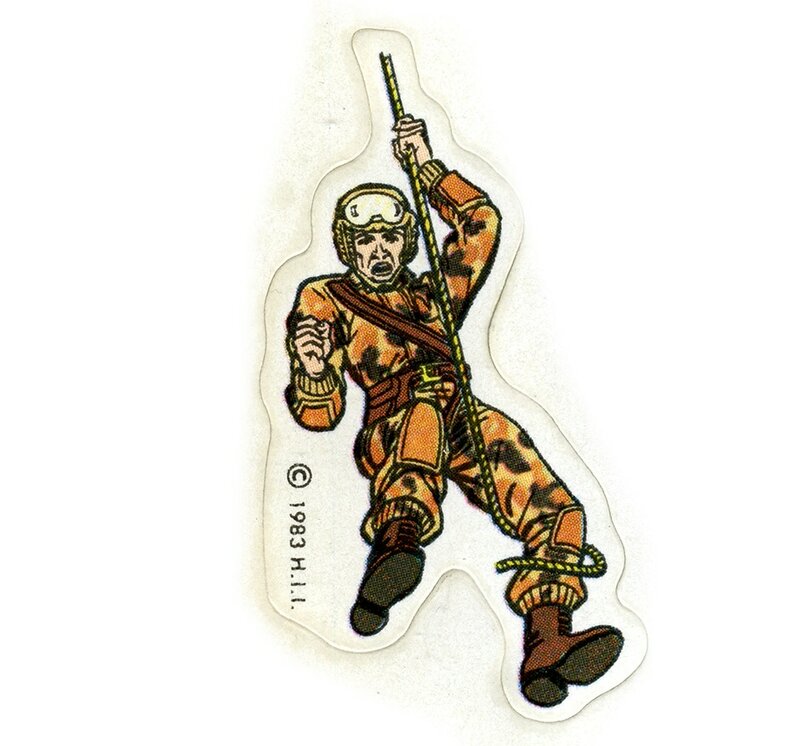 Some collectors take this sticker's existence as proof that options other than black were considered for Snake Eyes, but below Kirk Bozigian recalls that "from day one Snake Eyes was always going to be black molded plastic." 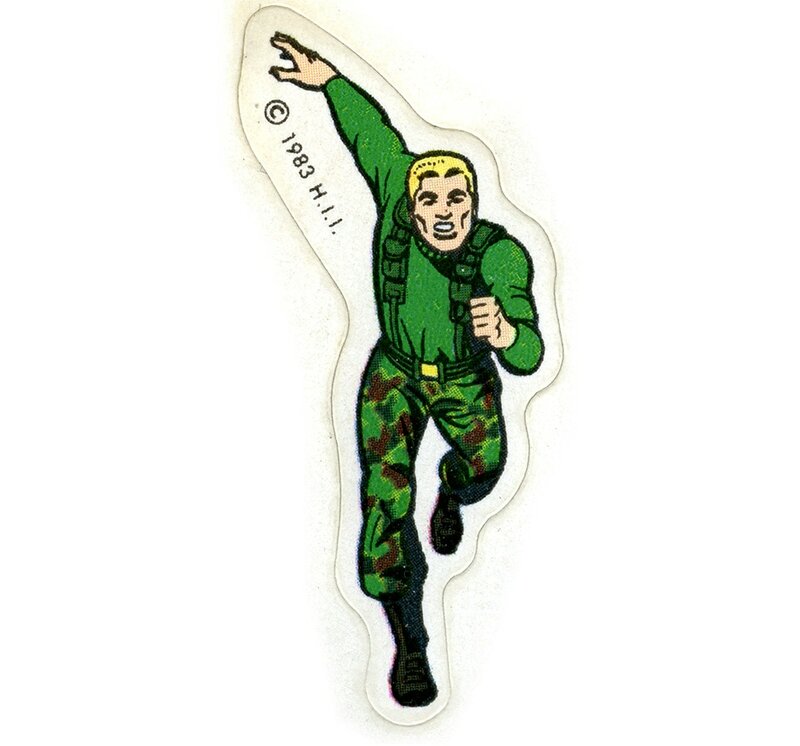 Kirk Bozigian (G.I. Joe Product Manager) and Ron Rudat (R&D Figure Designer) discuss how Snake Eyes came to be. 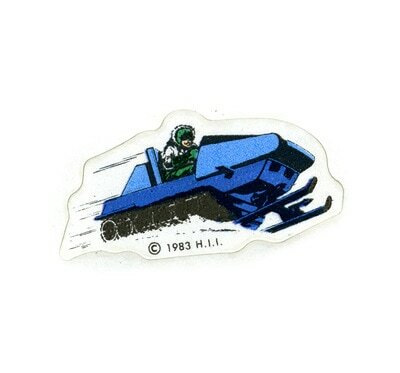 Roll over the images below for more info, or click them to view full screen.